Bubbling under the surface of the cities DIY indie scene for the past year, Glasgow's LUCIA is set to take own of 2018 with the release of her new single 'Melted Ice Cream'. Mixing the bubblegum aesthetic of The Ronettes and Best Coast, with the seething punk attitude of Bikini Kill, LUCIA channels relatable simplicity in her lyrics, detailing the trials of a doomed teenage friendship and angst across Spector-esque production. Discovered as a street busker in the streets of Glasgow, LUCIA has supported the likes of Black Honey, The Big Moon and The Undertones as well as head turning appearances at Scotland's T in the Park and inner city Glasgow festival Tenement Trail. Following the release of her 'Best Boy' EP on Glasgow indie label Dead Beet Records, LUCIA won the adoration of music fans across her home country as well as receiving glowing praise and support from the likes of NYLON (NYC), The Line Of Best Fit, DIY and BBC Radio, culminating in a performance at London Fashion Week and a sold out hometown headline at The Berkely Suite. 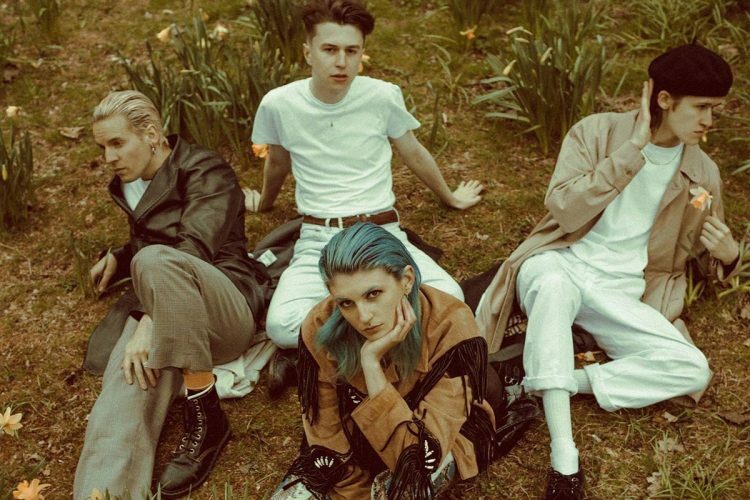 Live favourite 'Saturday Is Dead' was supported widely by Spotify and included in the New Music Friday playlist and since raked up over 84,000 streams.